Over the past few years, there has been a rise in affordable designer handbags. 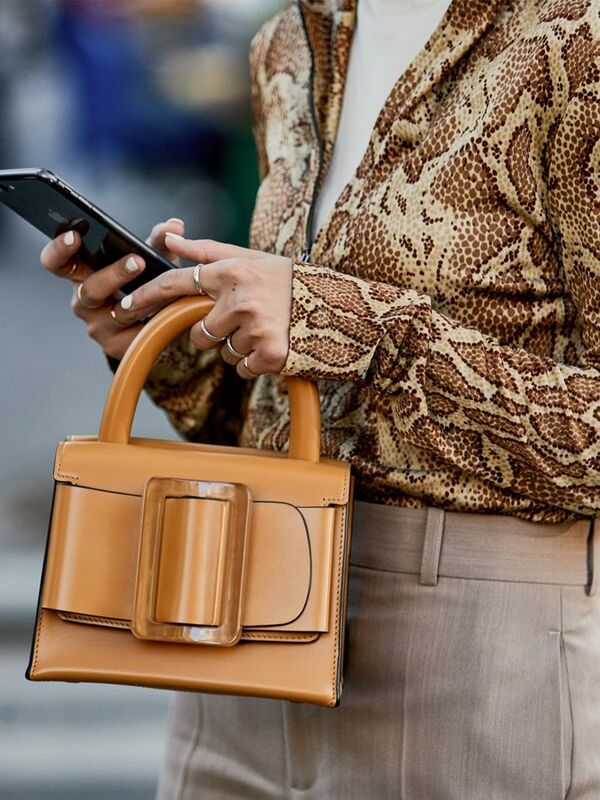 Most of the It bags that you see all over your Instagram feeds are selling the fast and all have one thing in common: a croc-effect finish. Lisa Aiken, Net-a-Porter's fashion director, said at her A/W 18 trends presentation that this trend is only going to get bigger this autumn and that the key is that it photographs well. "Lots of contemporary brands are working this into their collections but it still feels super premium," says Aiken. "It's something you'd have and treasure for a long time." Staud's croc-effect Bissett bag always sells out very quickly, and Rejina Pyo's and Nanushka's bags are all in a luxurious soft brown croc-effect leather. A look that can be easily mimicked by more affordable brands—it's very hard to tell an expensive croc-effect from a more cost-effective one, but you'll be likely to notice the difference in terms of silhouette, hardware and quality of finish. Style Notes: Lisa Aiken previews one of the best upcoming bags of the season—an oversized croc-effect tote from Nanushka. Style Notes: This By Far bag is all over Instagram right now—lucky Lou Lou wears her like a total expert, with a whole host of brown shades.